The Holiday Playscheme is staffed by team members who also work during term-time in the Nursery School. This provides consistency for the children who will have built up trusting relationships with these practitioners. The children are looked after in the Nursery School environment but smaller numbers mean that the opportunities and experiences are planned for different workshop areas over time. 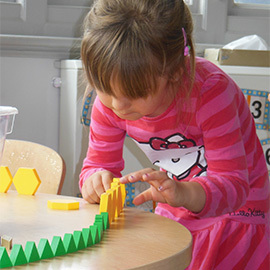 Children who have moved to Primary School can access the provision during their Reception year. Please contact our Admin Team for more information regarding booking arrangements.